wide on one side only – a classic example of it. as seen in our Women – Hockeyists photos. 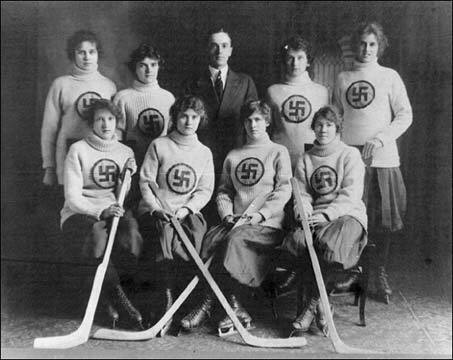 Edmonton Ladies Swastikas Team photo seen above.